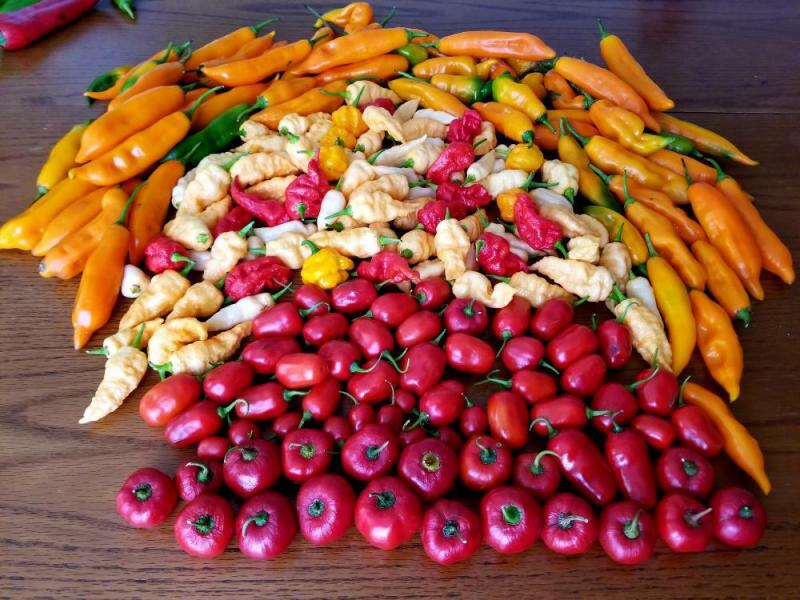 Another nice fall harvest. I should be able to get one or two more like this before frost hits in a few weeks. Don't you mean unripened gourmet super hots? 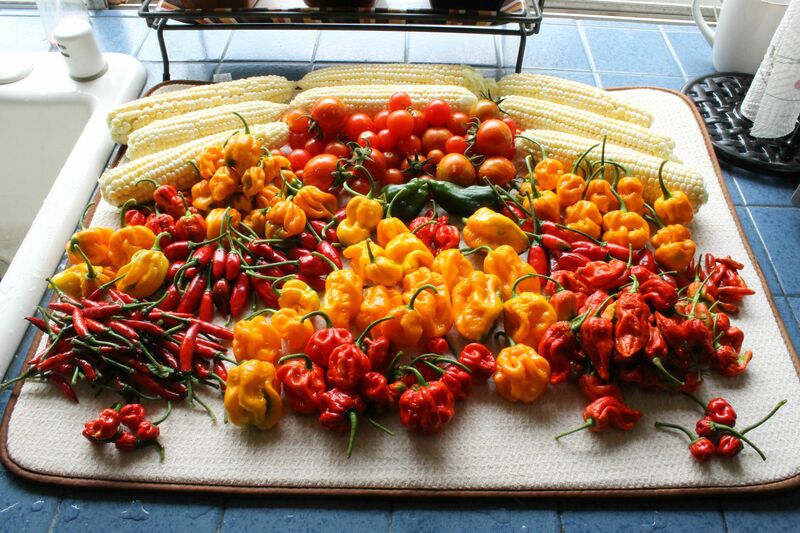 Pick those darn peppers and eat 'em! 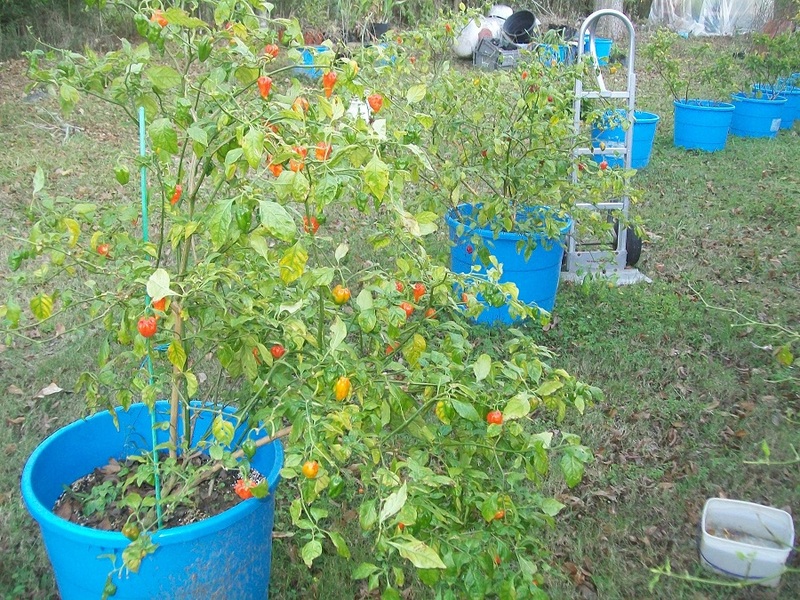 Still have a lot of rocotos waiting to ripen. Hopefully the weather will hold out for a little bit longer..
From yesterday and should continue for a while. Lowest temp this Fall has been 57 and first frost is usually Dec 1st. This thread has gone to sleep with the Northern hemisphere summer. Just a few pods starting to ripen. Very nice Karoo! But reports of Northern Hemisphere's slumber may have been a slight exaggeration. 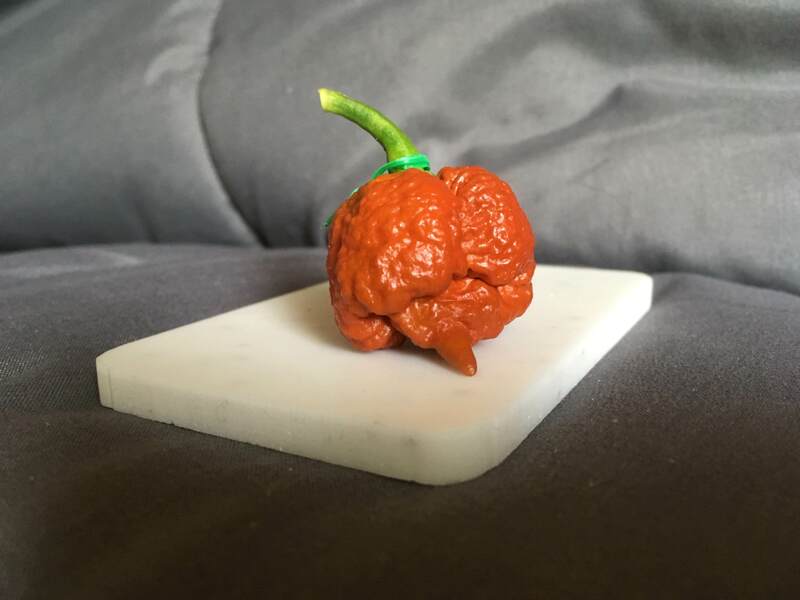 And, finally, my first ripe Aji Panca of the season! 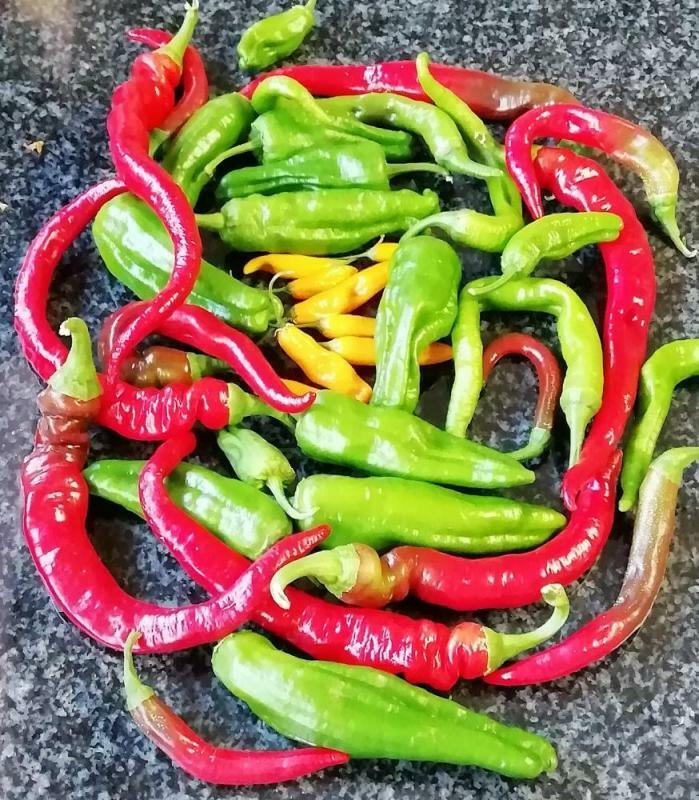 I've had 2 nights this season with temps at 34 and a light frost but tonight it's gonna drop to 30 so I picked the peppers that were still growing. 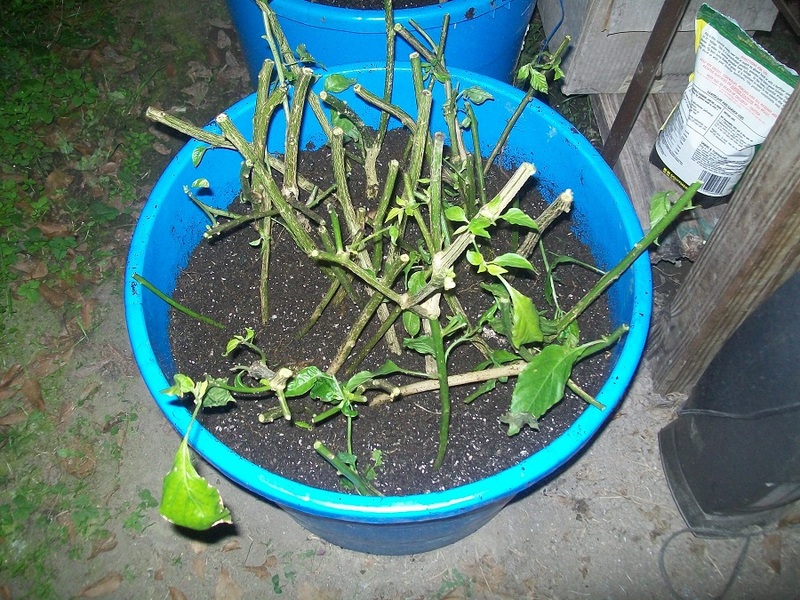 I also dug up some plants to over winter. 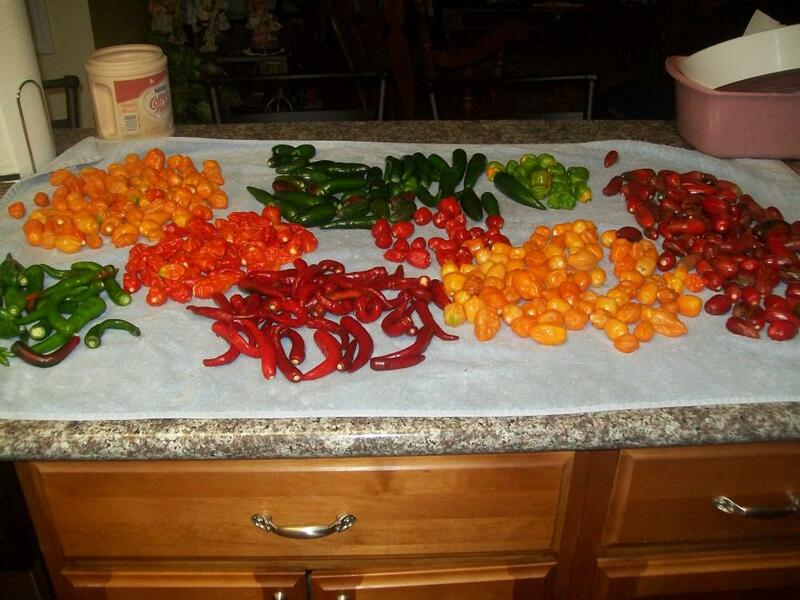 I'm totally impressed that the Big Mustard Mamma plants survived the two frosts and continued to ripen peppers. They did lose some leaves but hung in there. 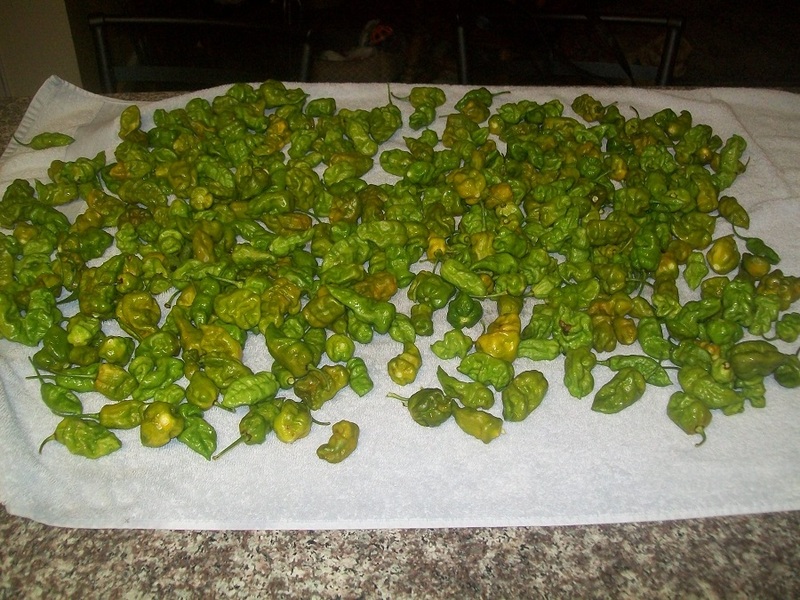 The Ghost peppers are still hanging on too trying to ripen these peppers. 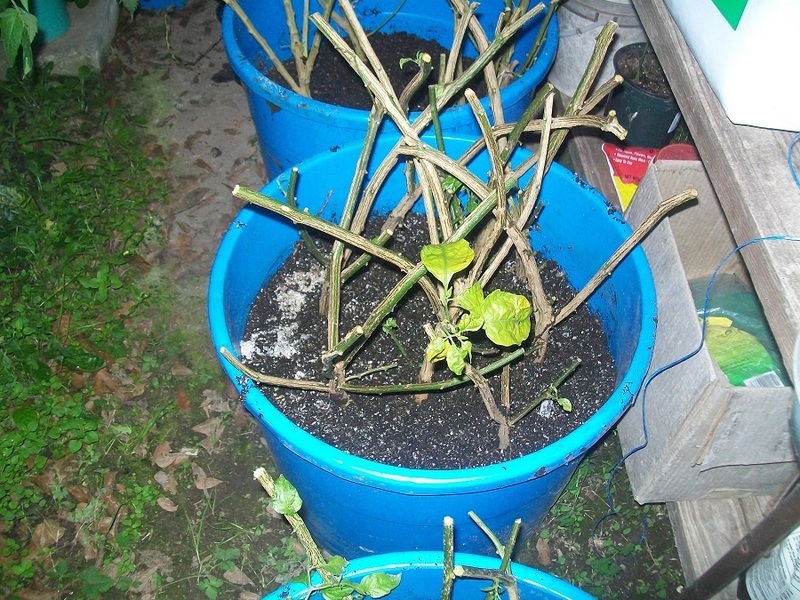 I stuffed 12 BMM plants in this tub. 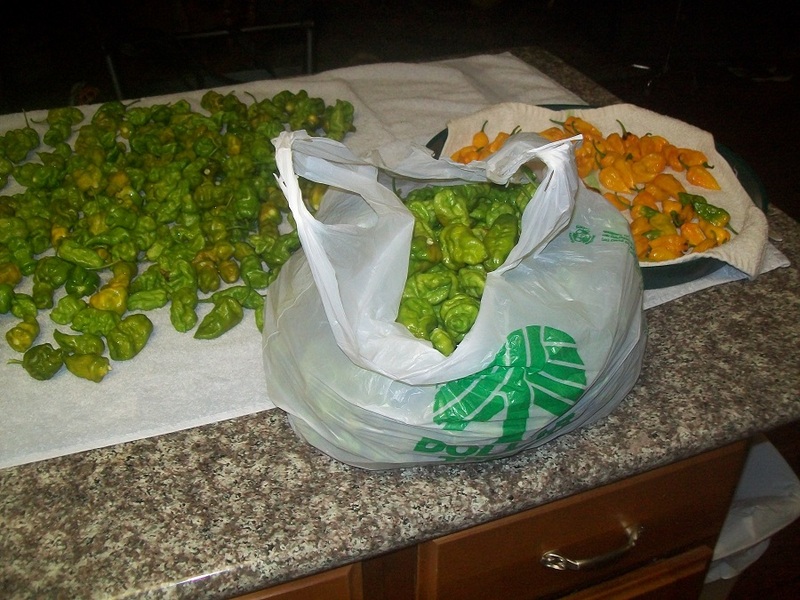 Another bag of BMM peppers. Rajun how awesome to have those still ripening despite the cold. And it looks like you'll have a big leg up on 2019 with all those OW's. 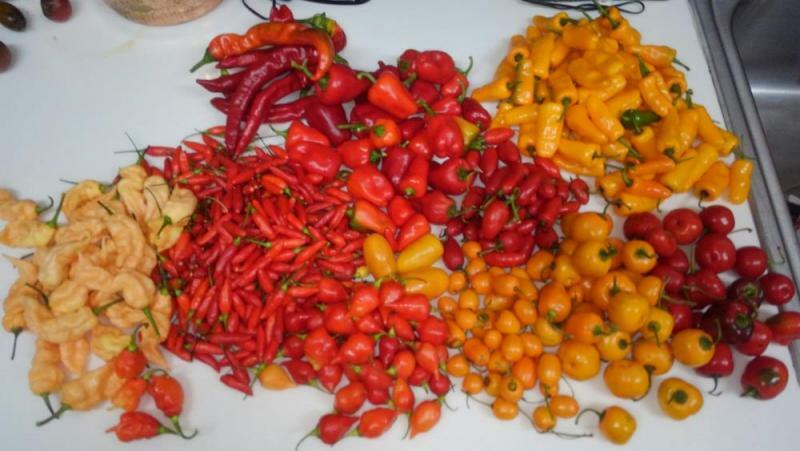 Enjoy the harvest! Nice grab! Hopefully my spring/summer pull looks like your fall/winter. 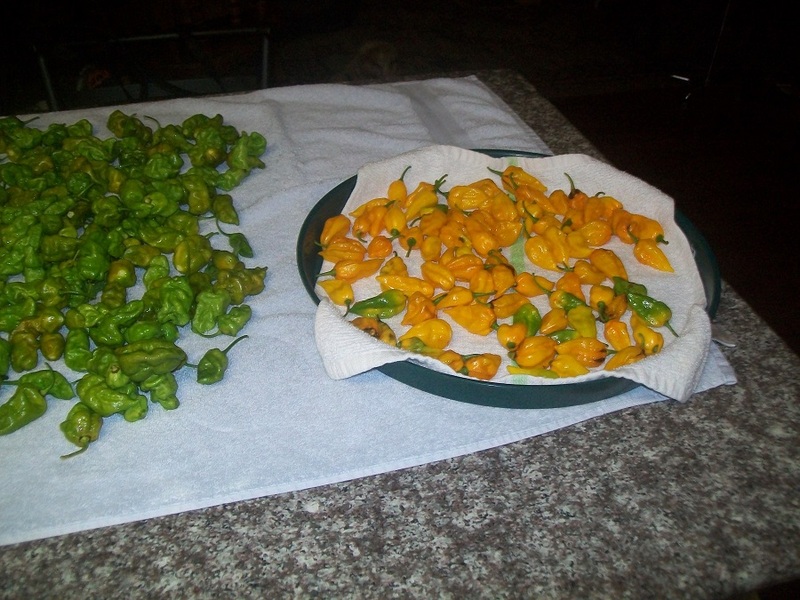 My favorite pics are always the harvests...gnarly pods look good too, but keep them harvest pics coming everyone!!! Noice! Love the dimples on those. Look evil. Jesus! 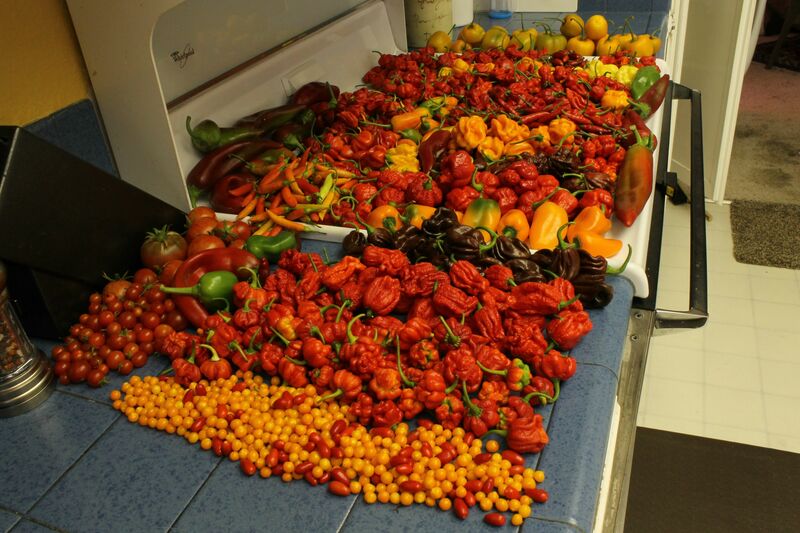 That's a lot of heat! Excellent color on that! Is that the typical ripe color of those? My Ghost is like the Honey Badger, it just don't care. 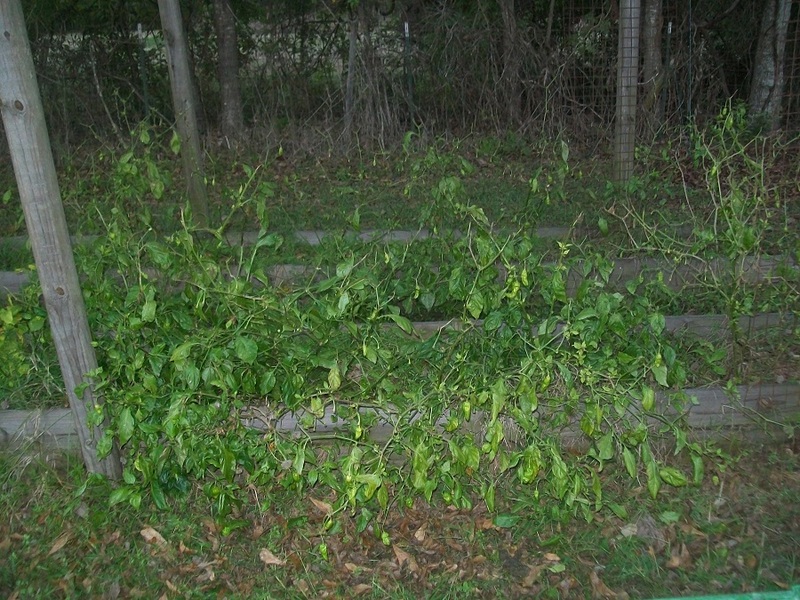 I moved it under a carport when we had frost warnings, it did lose leaves but still going. Thank you! The original cross consists of a chocolate and a rust/caramel color pod. 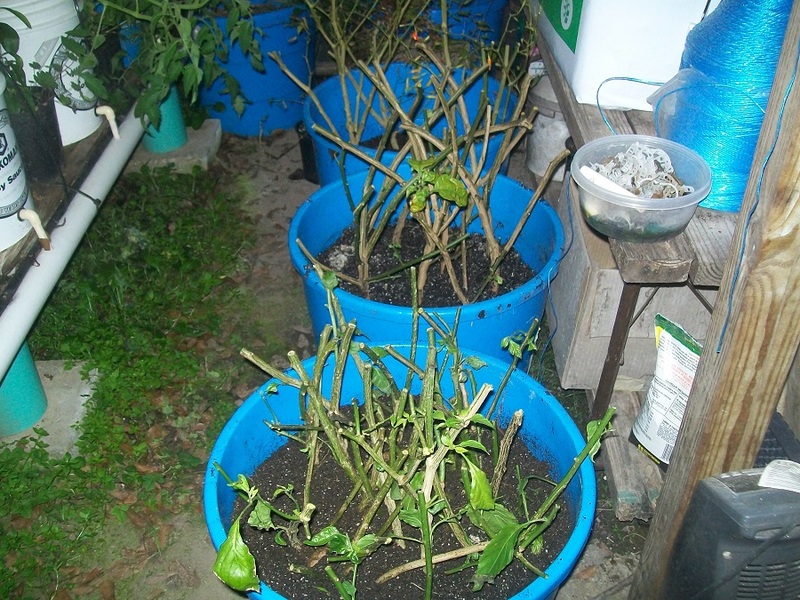 The first year, all plants were chocolate. 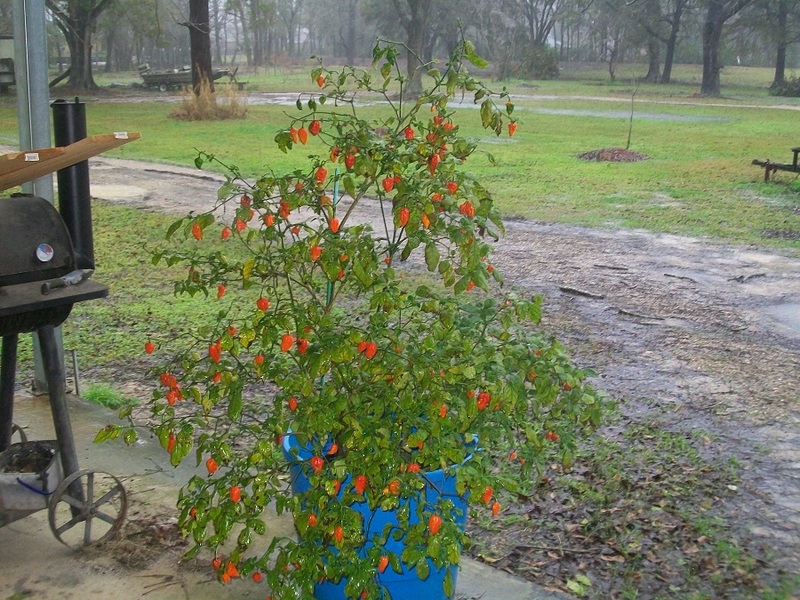 Then in 2017, ONE plant was caramel. So I isolated seeds and also cloned it (I still have it) to see if the Caramel would stick...that's what I was hoping for, originally. 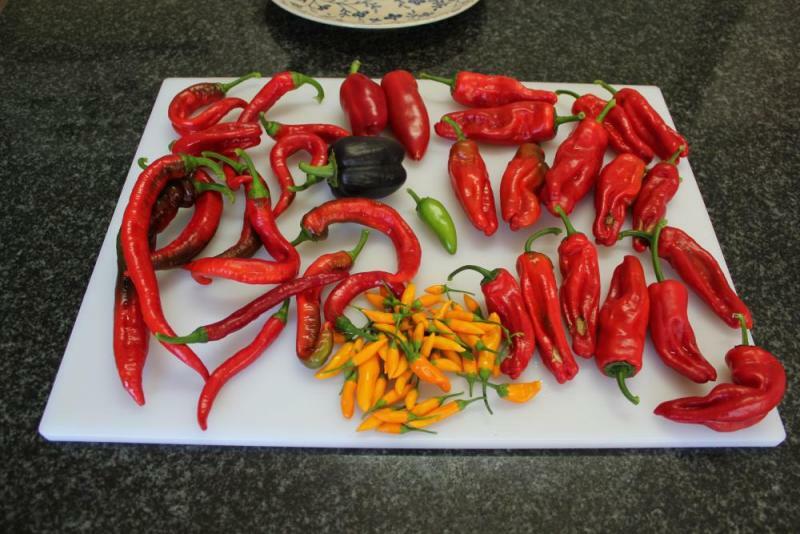 Here's a pic of the different plants' harvests from 2017. One caramel and the rest chocolate. Then, the color difference between chocolate, caramel, and red. 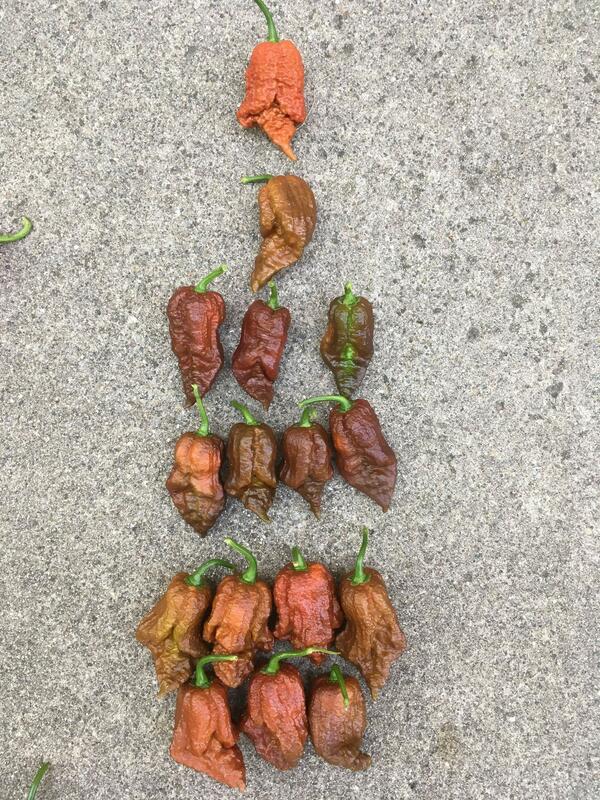 (Brown Moruga and 7 Pot Primo in the pic with the Cinder). They darken up a little more than this...but they still stay Caramel. Thanks again! Diamond in the rough! Without a doubt. 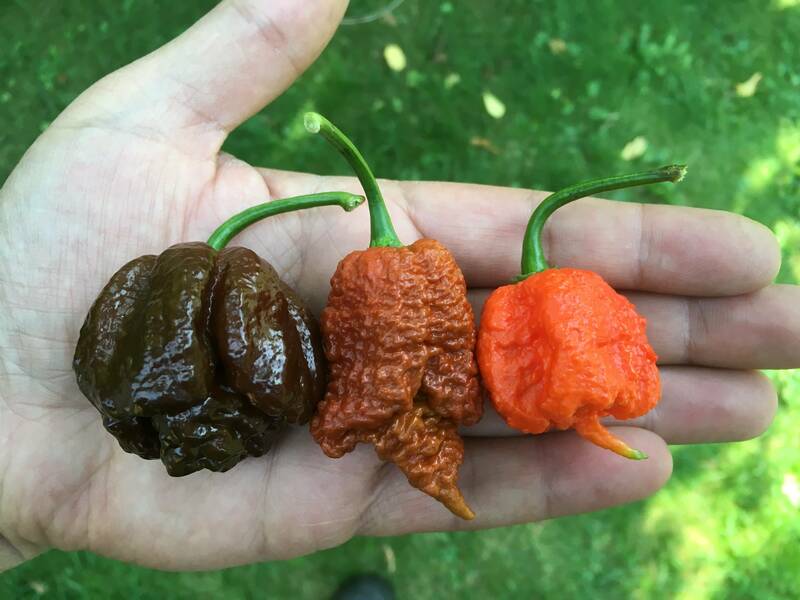 Where's the pictures from your 2018 grow of these?